The Simms Freestone Boot is a burly wading boot made to handle tough fishing conditions. 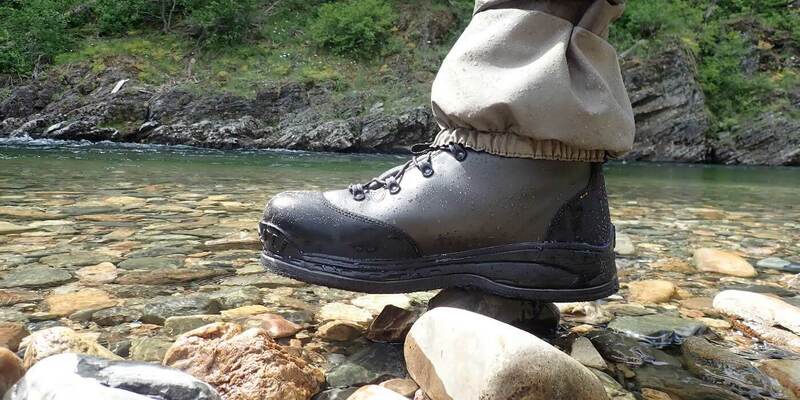 If you’re fly fishing in areas with rough riverbeds or even sharp rocks, these are the wading boots for you. The Simms Freestone Wading Boot comes in two versions, one with a traditional felt sole and the other with a rubber sole. Both versions are otherwise constructed the same. The Freestone boot design offers plenty of ankle protection and the the toe is capped with a generous scratch patch of rubber for extra durability. The synthetic leather upper is plenty thick, but the neoprene-lined collar offers a smooth interior surface that makes the Freestone Wading Boots surprisingly comfortable. The Simms Freestone Boots with felt soles are burly and awesome. In fact, when I first tried on the boots and walked around inside (with stocking foot waders on) I wondered if they would be too stiff and take forever to break in. 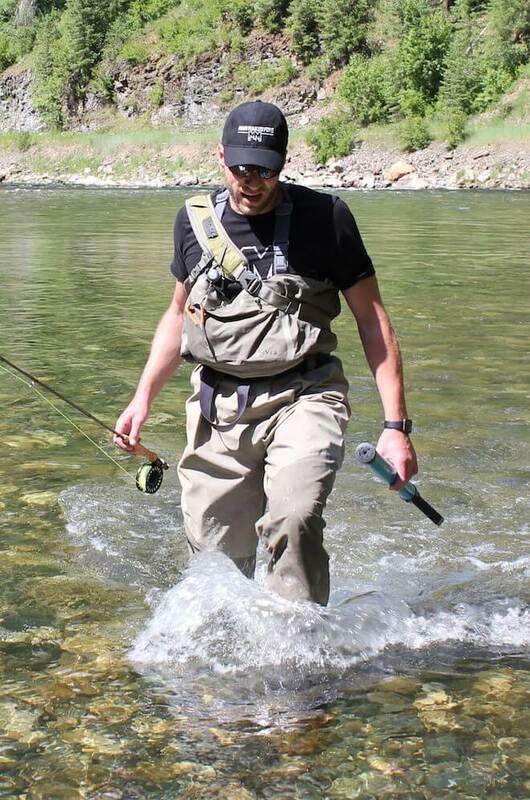 As it turns out, once I had the boots on and was actually fly fishing, I forgot about the boots. I had to remind myself to pay attention to the fit and performance. To me, that’s the start of a great relationship with a pair of boots — when you forget that you’re wearing them. Basically, the Simms Freestone Wading Boot is out-of-the-box stiffer but also more robust than most other wading boots, but once they’re wet and in the stream, they feel great. I choose the felt bottom version but Simms also makes a version with its StreamTread rubber outsole, which you’ll want to choose if you live in a state that has felt sole wading boot regulations. 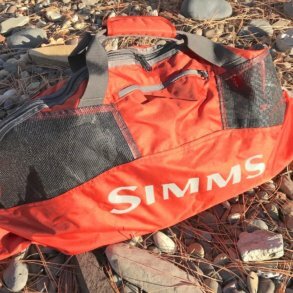 Simms includes a hefty set of laces, which pull through the eyelets well enough to let you tighten the boot. Simms also includes a big loop over the heel, which makes pulling the Freestone boots over your stocking foot waders much easier. Simms Freestone Boot with felt soles. Plenty of ankle protection and support. Clean your felt soles after each use! Unfortunately, most of the the ready-for-retail Simms fishing waders and wading boots end at USA size 13 street shoe sizes. A Simms 14 wading boot is actually sized to fit a size 13 foot when you’re wearing a pair of stocking foot waders with a neoprene bootie. This means, for example, if you wear a size 12 shoe, you have to order a size 13 Simms wading boot. As it turns out, the Freestone Boot is the only model that Simms manufactures that goes up large enough to fit my size 14 foot — I had to order a size 15 Freestone Boot. 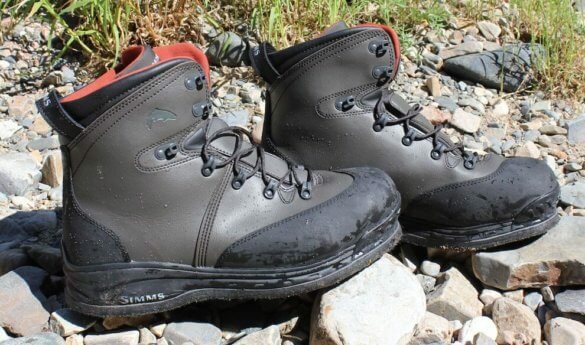 Because Simms stops all other wading boot sizes at 14 to fit up to 13, I didn’t have a choice in the Simms wading boot lineup — it was the Freestone model only. 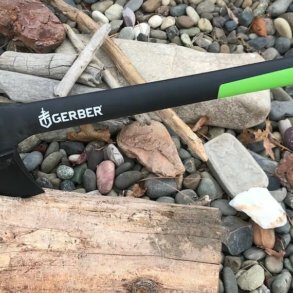 So, no G3 Guide Boot for me, no Headwaters Boot, no lightweight Vaportread Boot . . . you get the idea. 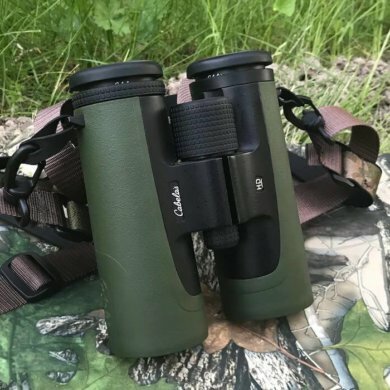 *2018 Update: Simms has since increased its sizing to 16 for the G3 Guide Boot. 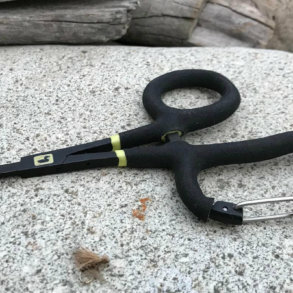 Sometimes a guy has to take a break fishing to save a kid’s squirt gun…. In any event, the sizing fits about right. There is plenty of room in the toe box and the lacing system lets you ratchet the boot down pretty well to a get a tighter fit. I have a relatively narrow foot, and at first I was concerned that I’d be swimming inside the boot, but the lacing system did its job. I even ended up running downstream in the St. Joe River for about 40 yards in an effort to retrieve a kids’ squirt gun that was floating away . 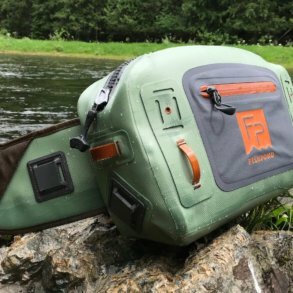 . . as I was running/skipping downstream in water a few inches below the top of my waders, I started reconsidering my water gun rescue attempt, but the point is, the Freestone Boots provided me with plenty of sure-footed confidence. Of course, had I swamped myself, I would have ended up in shallow water, so the only thing in real danger was my pride. I did, of course, rescue the squirt gun, and the little kid it belonged to seemed quite happy. In addition, the Simms Freestone Wading Boots let me wade chest deep over slick rocks and got me close enough to catch a couple of healthy cutthroat trout that I would not otherwise have been able to get to. All-in-all, the Simms Freestone Wading Boot is a classic bomber wading boot from Simms. It’s built well and it’s built tough. It’s not out-of-the-box flexible, but in the water the Simms Freestone Boot feels great. Based on the build quality, I expect it to last through years of abuse. Highly recommended.